First of all, Meryl Streep. Even if I had not been already interested in this novel, finding out it's read by Meryl Streep? I'm in. And she was brilliant. The novel itself is a different side to the traditionally told story of the life of Jesus - what if the version passed down through history isn't quite the way it happened? 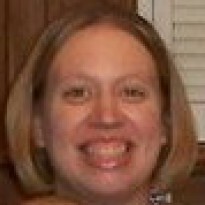 What would Mary's story actually be? 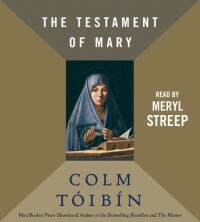 Toibin's Mary is not the sweet, joyful, willing handmaiden of the biblical tale - she is practical, and weary, and guarded, and scared, and the author made me believe right along with her. This is a thought-provoking read, which is sure to cause some to feel unsettled with it's re-imagining of the beloved story. It's a book I will come back to - I think it will hold up to reading again and again. Highly recommended.